Skinny jeans have long since past their “trend” label and are know a bonafide staple for both men and women. 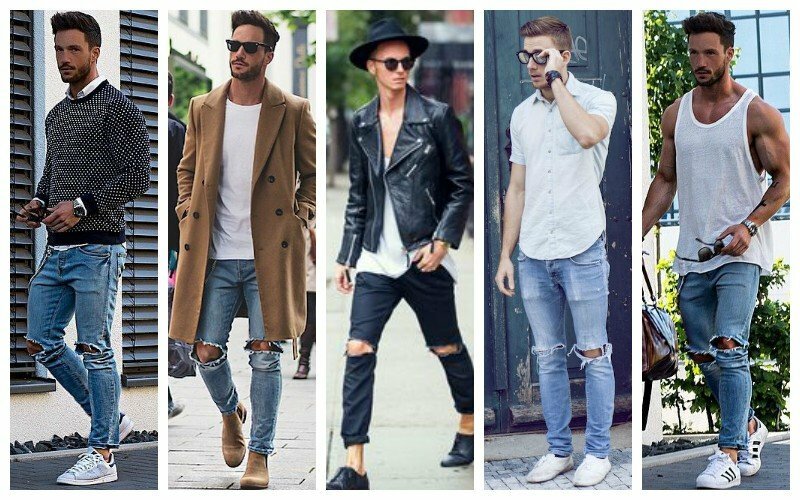 But, despite their popularity, many men still find rocking this modern denim style a challenge. From picking the perfect pair to partnering it with the right items, styling skinnies can undoubtedly cause confusion and stress. Thankfully, we’re here to help. 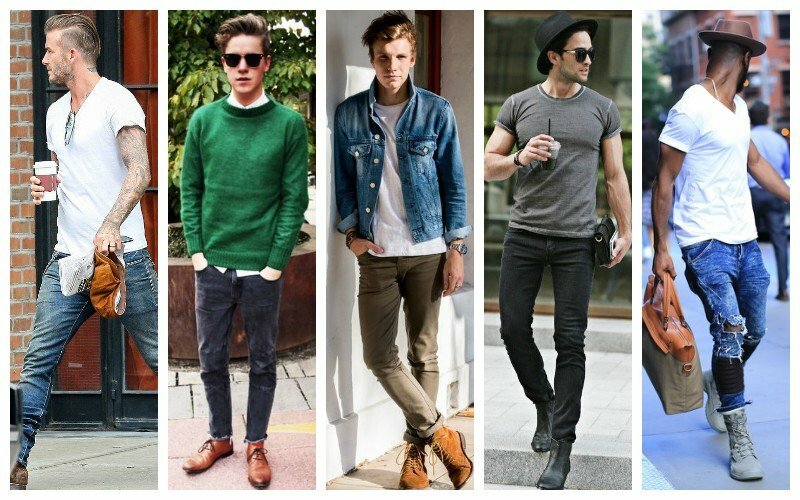 Below is our expert advice on how to wear men’s skinny jeans for a fashionable look. No two men are alike, and body proportions are significant when choosing which skinny jeans will complement you. For more slender gentlemen, opt for looser, more standard versions of the skinny jean – this will ensure your shape is not overly exaggerated. For those with more proportioned builds, keep in mind that more fitted styles can be worn, but consider a roll-up of the hems to balance out your fit. We cannot stress that you need to try your jeans on before you commit to incorporating them in your looks. The fit is everything, so we encourage you to try on as many pairs as possible. Everyone’s got different proportions. Keep in mind that skinny jeans do not necessarily have to be ‘spray on’; in fact, a slim cut straight leg jean may be perfect to give a fitted aesthetic without the leg strangling hardships of tight denim. Ripped jeans will lend dimension to the austerity of skinny jeans, incorporating more texture and in some cases, more versatility. Skinny jeans that boast holes and cuts will balance out your proportions when donning this type of denim, ironically alluding a less severe look when it comes to fit. Our recommendation? Opt for simple rips on both knees for added dimension and a simpler attempt of this trend. For casual everyday looks, opt for loose t-shirts and simple trainers. Keep in mind the taper of the jeans and the way it looks on your body overall. Trust your instinct and choose styles that flatter your proportions and features. Straight-cut skinny jeans will add a refined touch and can be dressed up for evening looks. Also, keep in mind the weather and the type of skinny jeans you wish to wear. For summer, go for more lightweight and light washed denim and heavier, darker styles for winter.